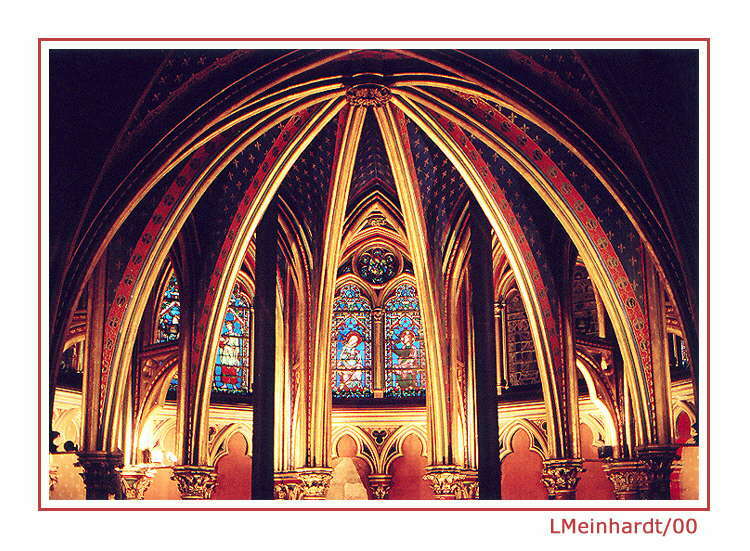 Taken from the beautiful Saint Chapelle (Paris). It`s forbiden to use tripod, so I took my 1.4 lenses and also a very slow exposure (1/20s)... Too bad we can`t use tripod, I think I would have taken a good set of photos at that beautiful church!! Wonderful compositon and colours...Great place. Excellent light, colours and detail! Great work with wonderful details. Great work here my friend!